Atlanta Shirt creates custom t-shirts and apparel with low prices, great quality and exemplary customer service. Easily start your no obligation quote online. Or call 770.580.4007 and let one of our design specialist assist you. 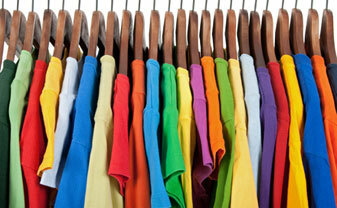 We offer full color silk screen printing, direct to garment and embroidery. Our shop serves all of metro Atlanta Georgia. Low Minimums, No Maximum Quantities. From 24 to 12,000 every order can expect the same service and quality. Most Jobs are Printed and Delivered within 5-9 Days. Rapid Response from real humans, our clients come first. Automatic and manual screen printing presses. “Direct to Garment” printing capable of in full color using light or dark garments. Direct-to-screen technology for consistent, high-quality prints. We use the screen printing industries finest inks and equipment. Great looking screen printed apparel in Atlanta. Vibrant full color prints with no minimum order! Getting custom embroidered hats, polos made easy. Choose Short Sleeve t-shirts for warm summers. Stay warm in the fall wearing long sleeve shirts. Once you’ve selected the perfect garment its time to begin creating your ideas. We print on all styles of garments, bags, hats and more! Why Shop at Atlanta Shirt? Join our client list like many of Georgia’s top names in business, dining, music and entertainment who trust on Atlanta Shirt to deliver. From 24 to 240,000 we can handle any size order. Factory direct pricing means you save money while getting the best quality in the industry. Compare quotes and come see Atlanta Shirt’s pricing difference. Our design team can help you create the perfect custom apparel. Imagine your design on clothing, hats and other promotional items. Browse our Custom Apparel Catalog. Ready to design the perfect hoodies or new women’s fashion line? We’re here to help. We can print up to eight colors using silk screen printing. Direct to garment printing offers full color 300 DPI in high resolution. Embroidery is also possible t-shirts or other garments. We love to talk about printing shirts! Its what we do! One of our live sales specialist will help walk you through every aspect. Placing your T-Shirt printing order is easy at our Atlanta Shirt shop.